it's ready when it's ready, there's no approximately date for it. 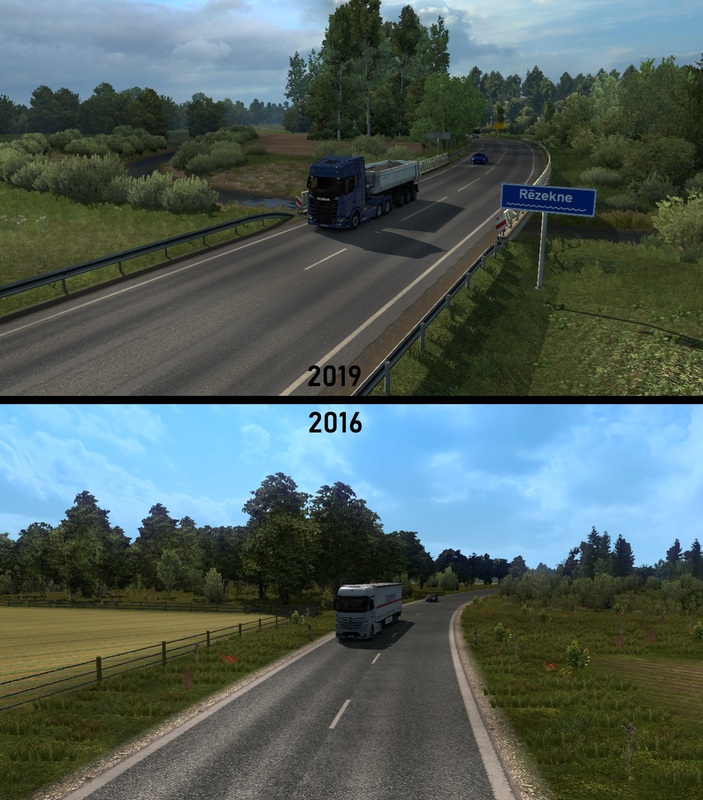 1) Will the towns Valga and Valka be replaced with the previous ProMods version, or will it stay as SCS did it? 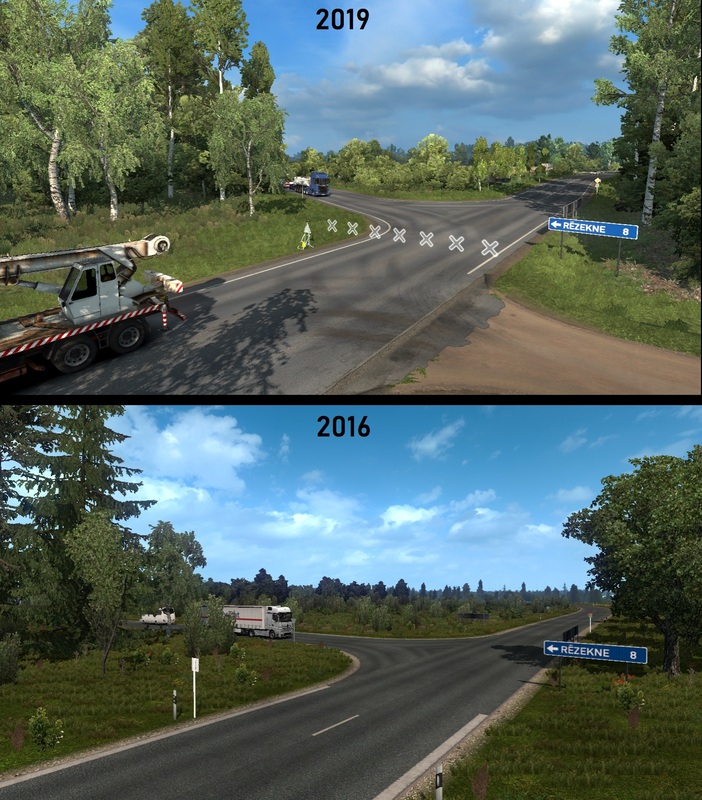 If SCS' will remain, the border crossing point in ProMods should be brought back - SCS' version is completely incorrect. In my opinion, Chernyakhovsk should stay. Krasnopolyanskoye is in the complete wrong place therefore it's layout has been made up. But I understand if you choose/have chosen to keep Krasnopolyanskoye. 1) None of them - these will kept to SCS' version (every single SCS' built latvian city will kept and will not replaced! 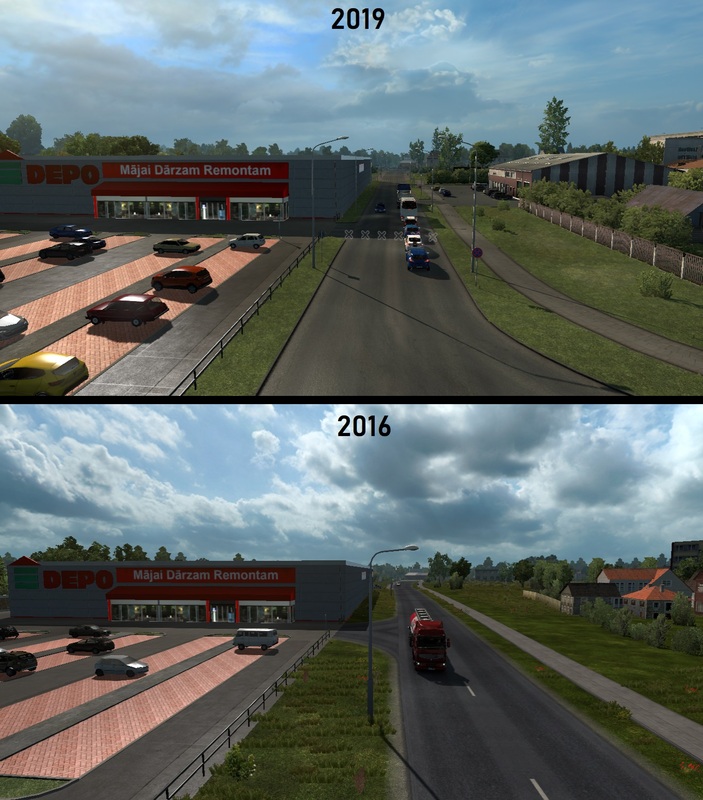 I like SCS' version of Latvian cities and I'm not interested to rebuild any of them! (of course, it may sounds like my subjectical opinion). Although, possible, Valga (EST) will get some upgrade, but we can't promise it for now. 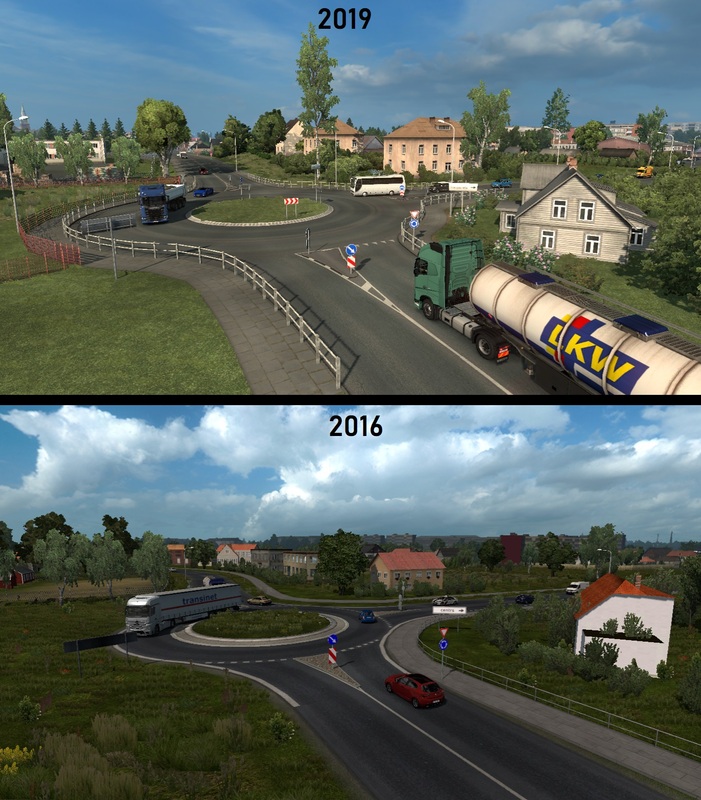 2) ProMods' Šiaulai was built in quick and "leave-me-alone" quality, just to release A12 road ASAP, already completed back in summer 2017, before "DLC-calipsy" came. Šiauliai will probably kept to SCS' version. 3) Decision has already made to throw out Chernyakhovsk in order to save SCS' beautiful village and it's surroundings + there's space issue. Such decision already has compesated by turning out Gusev into active town with upgrading to better quality. More important, Gusev have more perspective connections to Poland and direct to Sovetsk (LT border), rather than Chernyaknovsk, thanks to road A198. Thanks for the answers, all is clear now! It's good to know that things are going well ! 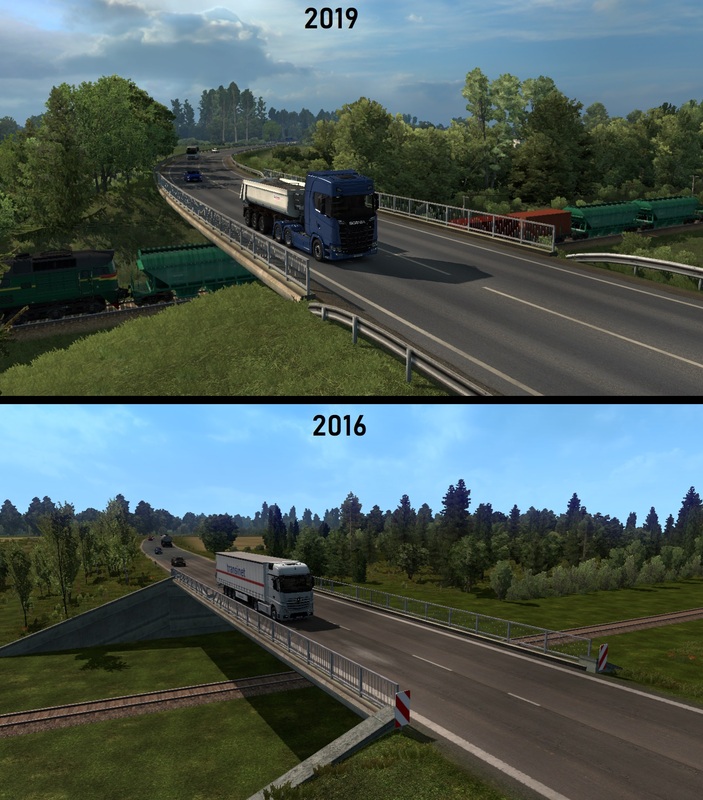 SCS' Baltic is indeed a very good road-map job, but a few countries are interpreted differently than by ProMods. The only remaining things are main-land Russia... but I suppose we'll all cope with it. Though, for a question, would the Curonian Spit be featured again ? Very nice that you decided to integrate it back to the map. Really looking forward to that! 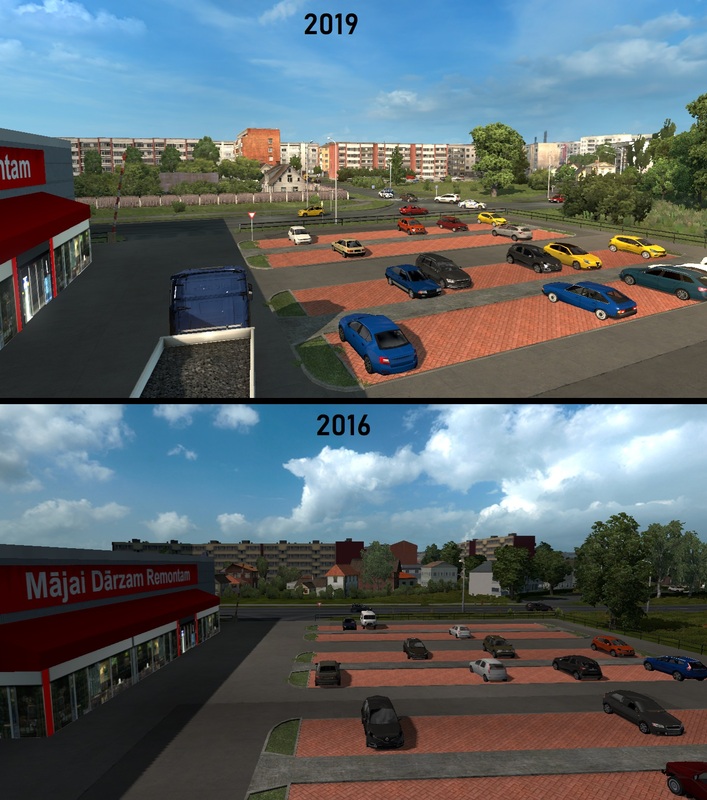 You said that you will keep the latvian cities as they are now in the DLC. But will you change the road signs there? In my opinion the SCS-Version of lativan road signs is pretty undetailed. SCS just used a few simple road signs without any distance-information or secondary road numbers. That is a thing, which I do not like at SCS signs at all. If possible, Will the P-21 route ever be connected? So i can avoid going up through Sweden, and i can just drive up from St. Petersburg? Roads in Russian Mainland has been the jurisdictions of RusMap, and for the time being it'll remain as such. 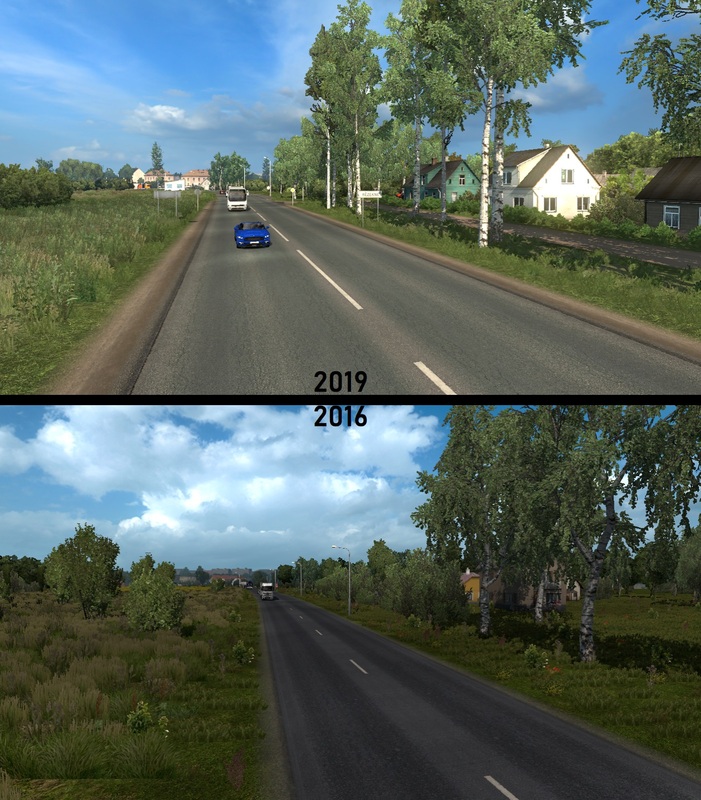 Let's say that ProMods intrusion to Murmansk and the Kola Peninsula has caused... quite a stir for some ETS2 enthusiasts. And that area has it's own development thread in this forum.